Blog: Would you give up your spot for an athlete with a better shot at gold? Blog: What is it like to buy a ticket in Sochi? 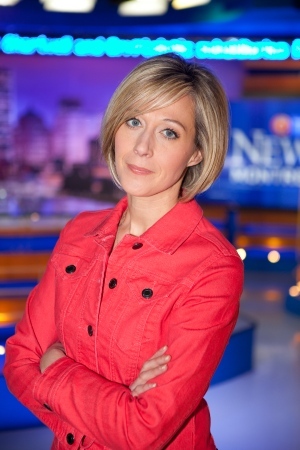 Genevieve Beauchemin is a national correspondent for CTV News in the Montreal Bureau. She has covered the most significant moments and the most important issues in her home province of Quebec since 1995. Beauchemin reported from the frontlines of the Shafia honour killing trial that rocked Canadian headlines in 2012, and from the site of the Dawson College shootings in 2006. She also reported from the riots at the Summit of the Americas in Quebec City, the funeral of former Prime Minister Pierre Elliott Trudeau, and the ice storm of 1998. Beauchemin has also travelled outside the province covering events including the September 11th terrorist attack in New York City, as well as aboard the plane of former Prime Minister Jean Chretien during the Federal Election of 2000. She received a bachelor of science in Anatomy and Cell Biology from McGill University, and went on to study journalism at Concordia University. She worked at the local CBC News station, before being joining CTV in 1997. Born in Montreal and raised in Ottawa, Beauchemin is married with two beautiful young boys.